Clearly, the theme of this week's posts is "people we hate because they make us re-do our cassette shelving but love because their tapes are really good." 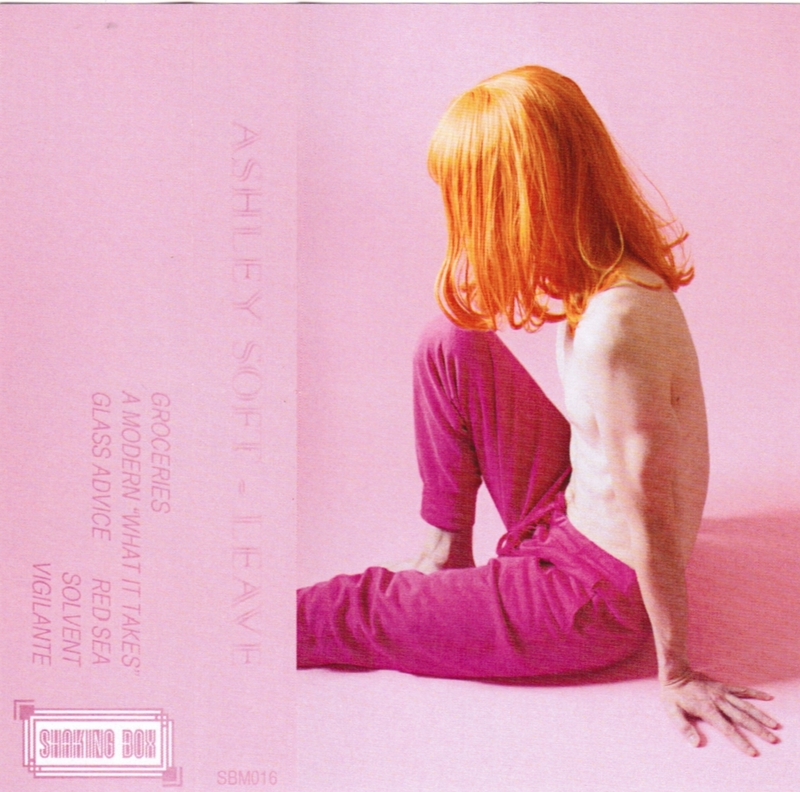 Courtesy of Devin Friesen's Shaking Box Music comes the second tape from Ashley Soft, which sees the band actually becoming a band (and a Calgary one, at that). Anchored by Andrew Hume's remarkable (as in good remarkable) drumming, Clarke Alan Macleod delivers a set of noodly, noisy songs while Devin Friesen does what he does best - namely make some really nice noise to complement the whole thing. Plus, Chris Dadge recorded this thing, so we can give him an extra kick in the pants/high five for his part in capturing this on tape. We've seen this tape at Sloth, of course. But you can also get it via Shaking Box Music.